This trial is over Intel's anti-competitive practices against AMD between 2002 and 2007. Read more on Intel's retrial against the EU. Intel's dominant market position and vastly superior R&D budgets. Ohh yeah and yet only innovate like max +15% each generation lol. That aside, this is such a dirty move by Intel really and really being the bully here. I hate this kind of things and that they can't have a fair play, despite being business. I really like that AMD has really given them a run for their money with Ryzen, a real come back blow in the face on Intel's part. Hopefully this will also be solved soon and that they get another kick in back for being so low to do this kind of tactics against someone who is already at the bottom. It's like kicking someone who is already on the floor. If/when ASUS releases an AM4 ITX board, I will switch over to Ryzen. I have lost all my support for Intel. You're too kind. It's really around 5%. lawyers..... the thing closest to the devil walking the earth. It will depend on per core or multi-thread performance, but I agree saying 15 is already above average. Still. No one has to go out and buy every single new cpu that comes out. I had a 1stGen i7 and now i have a 4thGen one so I'm hyped to get the 8thGen CPU without any issues. The thing is, if you see this as a case about equality of any kind, nothing changes. The very people asking for justice don't just want things to become fair, they want compensation to the point of turning the tables and becoming who(what) they are fighting against. I have no reason to buy AMD because none of the 3 systems from AMD i had up to the Phenom II x4 940 that was completely unstable under load (gaming on that system was a nightmare). So i moved to Intel, and have yet to complain. 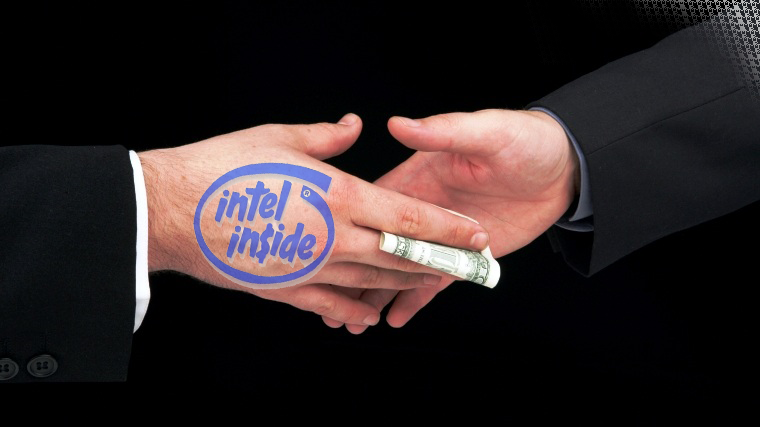 Playing dirty or not, intel still is the better choice for me personally.